Early Cultivation- initial visit/contact has ensued product or service has been communicated professionally. Intermediate –Cultivation- Properly develop your existing donor base. Allocate time to develop new and potential donors by effective and consistent communication. 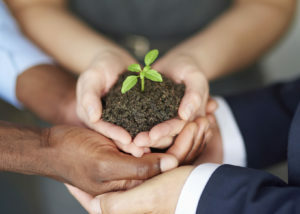 An organizations success in their ability to close funding is inseparable from how they develop strong relationships. At GrantLinkX we support meeting and interacting with donors at an Awareness Events or Donor Appreciation Events prior to taking further steps in requesting further financing. Solicit Stage- Correctly segmenting funding sources by differentiating levels of donor interest is crucial to an organizations ability to increase your donor closing ratio. Our ability to timely label a donor’s relationship gives your organization the confidence that the interest in your product or service is precisely interpreted as high interest, a case for support has been verified, and a major gift “ask” wouldn’t damage the relationship. Proposal Pending- A which a major gift proposal has been presented to the donor. Stewardship- A previous major gift has been made, but a discussion about another major gift is premature. Continue to involve and communicate your message to your major donors and make them part of your organization’s team/family. Engaging your market is instrumental to increasing funding. We specialize in communicating and reiterating your organizations mission to your current and potential donors and benefactors in a way in which allows for appropriate solicitation. We strongly advise that your organization allow your donors a way in which to get involved and share your story with their network. Our experience shows that the more purposefully engaged your donors and benefactors are before solicitation, the more likely you are at establishing a long term relationship and receiving a donation. We focus on creating and implementing strategic donor campaigns with an emphasis on making your donors feel special and necessary. It is imperative to follow an ethos where we understand both sides of the benefactor beneficiary relationship. The closer we as donors would feel to an organization or cause, the more likely we ourselves would donate. Our team works on a case by case basis bettering our personal understanding of our clients, and their relationship with their donors and benefactors. This allows us to properly understand the optimal time in which to request funds (“the ask”), based on what we learn about each donor’s unique passions and interests. GrantLinkX is always driving forward and is personally invested in your organization. We rally your donors around a unified goal and encourage them to take ownership and become vested in the success of your organization.